Editors’ note: No Democratic president has won in recent decades on a platform of economic populism. But with the rhetoric of the 99 percent still in the air, and a proposal for a ‘Fair Share Tax’ at the center of his current platform, it seems President Obama might be attempting to do just that. 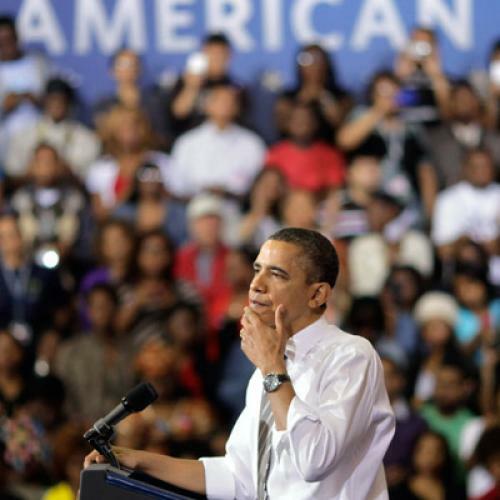 We’ve asked a number of TNR writers to discuss whether it makes sense for Obama to run as a populist. Can a Democrat win on a populist message? Should Obama try? Click here to read the collected contributions. With over six months to go before Election Day, Barack Obama has already begun to dabble in a populism of sorts: touting a millionaire’s tax and adding a little more pro-labor, anti-corporate-malefactor rhetoric to his stump speech. But that’s a far cry from the full-throated populist theatrics that some of his supporters are urging on him. While the President undoubtedly will do all that he can to fire up the liberal base of his party before November, he is existentially unsuited for populism. I suspect he recognizes that, and his reelection campaign will do little more than offer the sheen of populism without the substance. Perhaps I’m being a bit unfair to populism, but the preponderant evidence of the past century and more of American politics suggests that it has a natural inclination toward provincialism, nativism, and jingoism, and against cities, intellectuals, experts, immigrants, high finance, and other perceived alien forces. The politicians to whom populist rhetoric comes most naturally are the bombastic types that Obama has pointedly distanced himself from, whether older prototypes like Mississippi's Theodore Bilbo or South Carolina's “Pitchfork” Ben Tillman, or more modern exemplars such as George Wallace, Jesse Jackson, Al Sharpton, and John Edwards. In that way, Obama makes a far likelier target than tribune of populism. Obama is nobody’s idea of “just folks.” He’s too cosmopolitan, multiracial, professorial, self-controlled, and physically fit to present himself as an incarnation of the American common man. His otherness has always inclined him toward an E Pluribus Unum approach rather than Us Against Them. He’s too sophisticated to pretend that politics is a straightforward clash of good and evil, that vile elites conspire to enslave the little people, or that the experience of balancing the family checkbook and raising children is adequate preparation for governing the United States. Rage-choked sobs, low quavering moans, righteous bellows, whoops, hollers, hallelujahs—none of these are in his repertoire. He doesn’t do anger. The political strain Obama most obviously seeks to channel is not populism but some mix of John F. Kennedy’s cool, Dwight Eisenhower’s moderation, and Abraham Lincoln’s gravitas. The ability to do a convincing imitation of Huey Long just isn’t in him. Populist pandering would undermine the only-adult-in-the-room persona he has worked so hard to establish. Of course, just because populists often direct their anger toward the wrong targets doesn’t mean they’re wrong to be angry. A prominent Democrat once inveighed against “the corporate institutions of the nation,” which he characterized as “imperious, arrogant, compassionless. They demand special legislation favors, privileges, immunities…” That was William Jennings Bryan in 1893, but it’s still a fair indictment of much of today’s pay-for-play political economy. Globalization has ushered in an era of laissez-faire capitalism on an international scale, subjecting countless Americans to the devil-take-the-hindmost social Darwinism of the late nineteenth century. Neither Republicans nor Democrats have come up with a convincing way to restore broad-based prosperity in a time of government austerity, political dysfunction, lobbyist rule, downward pressure on white-collar as well as blue-collar wages, the obsolescence of once-thriving industries, and the financialization of the economy. Rage seems a legitimate popular response, which I suspect accounts for the muted sympathy many Americans have offered to both the Tea Party and Occupy Wall Street movements. But it tends to be the fate of populist movements that they are subsumed into more pragmatic, establishment-oriented political efforts. The populism of the Gilded Age was transmuted into early twentieth-century progressivism: a bipartisan, middle-class reform movement that meliorated the harshest workings of the new industrial order while leaving the capitalist system basically intact. And that’s the tradition that Obama is most comfortable working within, and the one that gives him the best chance of electoral success. He is a progressive at heart, not a populist. He recoils from anything that smacks of root-and-branch radical change. His aim, like that of the earlier progressives, is to strengthen the system by reforming it at the edges. His biggest political problem is that populist conservatism has repressed the progressive elements of the Republican Party, giving him few opportunities for bipartisan cooperation. Republican strategists know that in polarizing elections, when both parties play to their ideological bases, conservatives win. But there are still millions of moderate Republican voters as well as a sizable bloc of political independents, and Obama needs to win over a lot of them if he is to have any hope of partnering with even a few GOP legislators. He also needs to have at least some financial and corporate interests on his side in the general election. He won’t accomplish these ends by attempting to remake himself as a left-wing populist. The President can’t act as a conduit for the desperation of the millions victimized by globalization and the fiscal crisis; fortunately for him, neither can his Harvard-educated Mormon banker opponent. What Obama can and should try to do instead is mobilize a popular consensus behind practical and incremental efforts to improve their lot. He should continue to play to his strengths as a progressive rather than a populist, and to educate and persuade the moderate majority. Geoffrey Kabaservice is the author of Rule and Ruin: The Downfall of Moderation and the Destruction of the Republican Party, from Eisenhower to the Tea Party.